The advantage of travelling by boat is that you can go wherever you want and even spend the night in remote places, and Ibiza offers thousands of corners where to get lost and enjoy nature. Today from Smooth, Ibiza boat hire specialists, we show you 4 islets that you should not miss in your visit to the island. 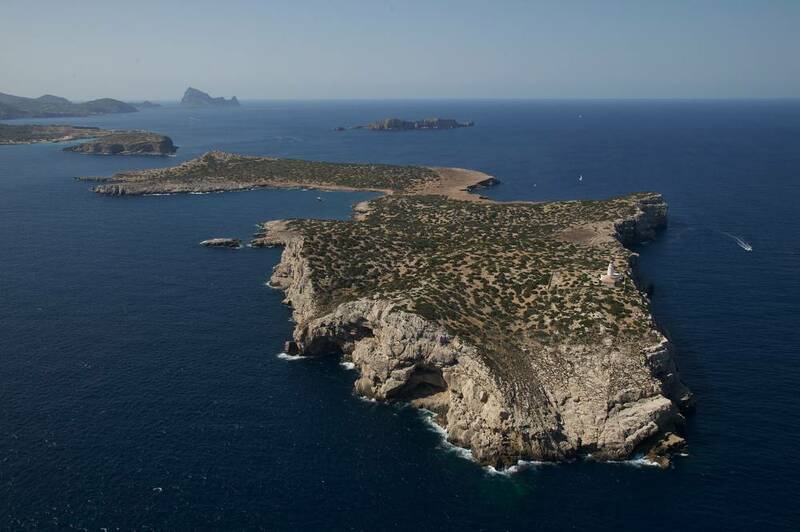 Located to the south-west of the island we can find the island of Es Vedrá, a nature reserve since 2002. Together with Es Vedranell and Els Illots de Ponent, it forms a natural park full of curiosities and legends. If you have already enjoyed an Ibiza boat rental, you will have probably heard the stories about the power and mystic energy of Es Vedrà. The islet is one of the greatest magnetic centres of the planet, as are the Pyramids of Egypt or Easter Island, among others. Es Vedrà forms “The Triangle of Silence” (with similar characteristics to those of the Bermuda Triangle) together with the Ifach Rock in Calpe, and the south-west coast of Mallorca. Es Vedrà has served as inspiration for many artists because of its ‘magic’, appearing in films like ‘Chaotic Ana‘ by Julio Medem or ‘More‘ by Barbet Schroeder. It’s also on the Mike Oldfield’s ‘The Voyager’ album cover, as well as in countless paintings and photographs. 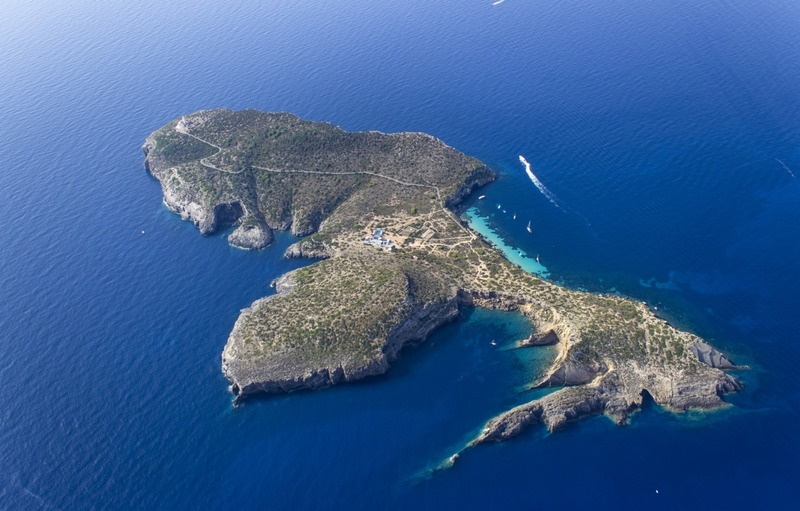 Es Vedrà is only accessible by sea and in private boats. 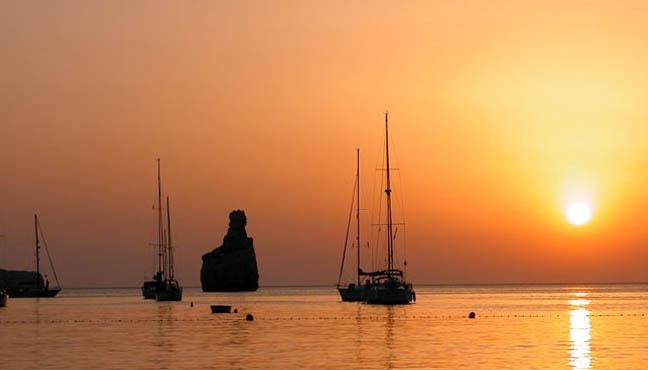 It’s for this reason that Smooth Sailing offers a great variety Ibiza boat hire. 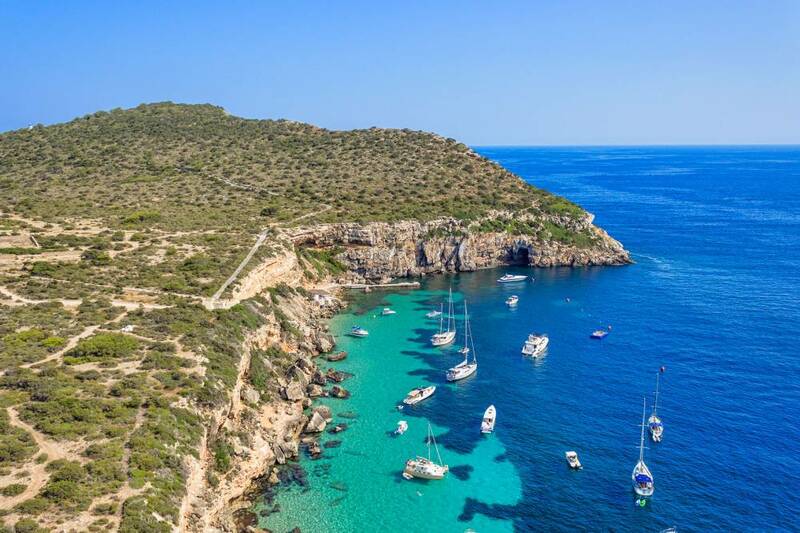 To the northeast of the island, opposite the coast of Santa Eulalia del Rio, one can find Tagomago, a private island owned by Matthias Kühn and Norma Duval, just 5 minutes away from Ibiza. Besides being one of the few islands in the Mediterranean, Tagomago counts with a privileged, serene environment, which is dominated by steep cliffs from which one can enjoy amazing sunsets. Among its facilities, we find a swimming pool, five bedrooms with en-suite bathrooms, an outdoor jacuzzi, a separate guest house and a small harbour. All of them furnished by designer Philippe Starck and countless Italian luxury brands. Undoubtedly, however, the best of the house are the large picture windows overlooking the sea. 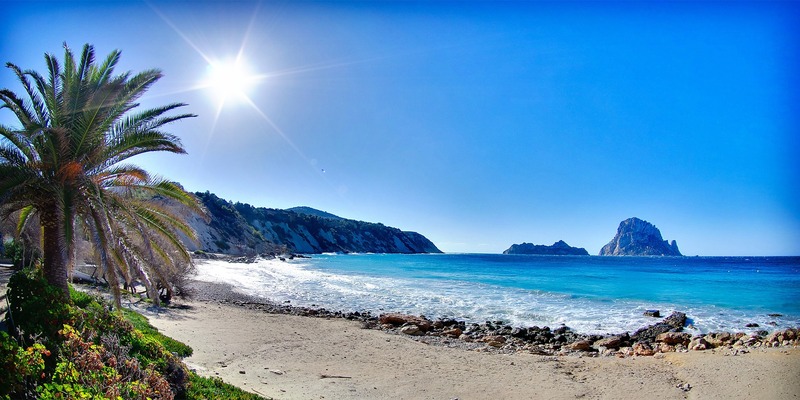 Located to the north of Ibiza, in front of the Benirrás Beach. Es Cap Bernat has become, thanks to its unique and distinctive shape, one of Ibiza’s biggest symbols. 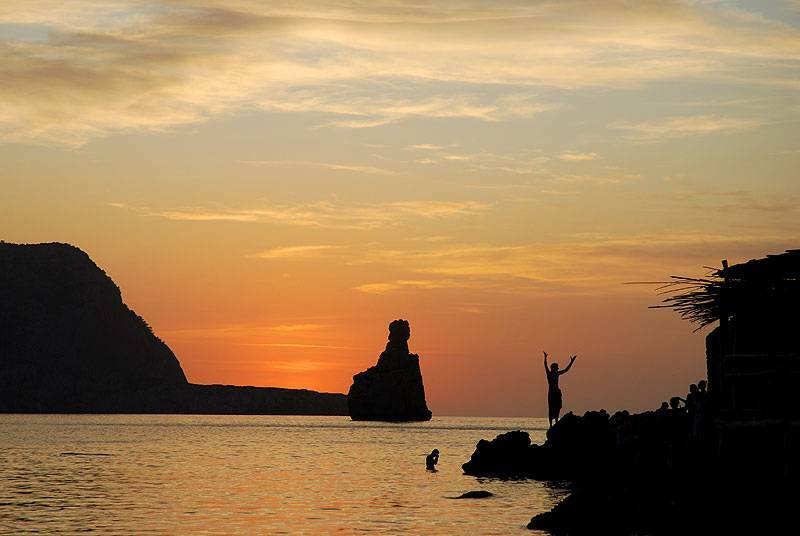 Its silhouette, cut out in the horizon during sunset, is one of the most significant and photographed images of Ibiza. On Sundays, this magical spectacle is accompanied by the sound of drums in the background, making it a fantastic and unforgettable experience for visitors. Many visitors take advantage of an Ibiza boat hire to reach enjoy this experience from the middle of the sea. 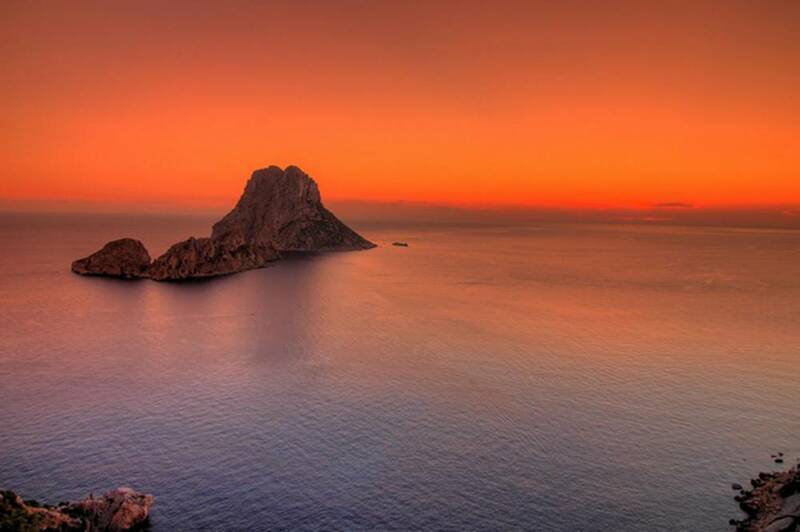 This island, also known as Conillera, is located in San José, on the western end of Ibiza. With an area of 1.08 km2, it is completely uninhabited. In spite of its size, the relief is very steep and quite uneven. The easiest way to access Conejera is by boat, departing from the port of San Antonio, therefore an Ibiza boat hire is more than recommended. The only construction on the island, which has inspired many stories and legends, is a lonely lighthouse. The road to it was built on rocks and stones and has no difficulty whatsoever. A pleasant 30-minute walk with a guide that explains the most characteristic aspects of the habitat of the island is what it takes to reach the lighthouse.